Anyone going to miss Google+? 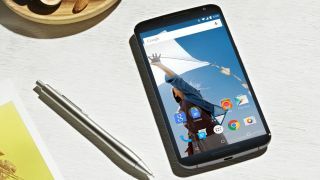 If you hate getting a brand new smartphone that's already full of preinstalled software, then we've got some good news; Google has changed the rules for phone makers using Android, which means they don't have to include so many of its apps in the future. Thanks to Google keeping Android free for phone manufacturers to use, the Android operating system is the most widely used in the world. However Google had enforced rules on phone makers that meant if they wanted to include any of its apps preinstalled, then they'd needed to also install a host of other ones. That meant if a phone maker wanted to include the Gmail app, it would also have to include other less useful Google apps such as Google+ or Google Earth. If they didn't want to include those, then tough; they wouldn't be allowed to preinstall any Google apps at all - and the version of Android they use would not be approved. Thankfully Google has now relaxed those rules, so now phone makers don't have to include quite so many Google apps if they want a Google approved version of Android. This should mean that future phones that come with stock Android will be a lot less cluttered by unwanted apps before you even use them. However, if you have a smartphone made by a manufacturer that's notorious for including its own apps (which are unflatteringly known as bloatware), such as Samsung or Sony, then it might not make much of a difference. Let's just hope that more manufacturers take Google's new 'less is more' approach to preinstalling apps in the future.